Today ELKAYAM produces screens and feeders of every known type for high grade production in quarries and industrial installations – everywhere in fact where grading and conveying are part of normal production, from the smallest to the very largest of installations, under a credo of high standards and specifications which ELKAYAM has set itself to meet. Whatever the material or the project, ELKAYAM has been designing building and supplying screens and feeders of all types for decades. The attention to every engineering detail and advanced design concepts ensure sturdy long lasting and ultra reliable plant needing a minimum of maintenance and a giving reliable full specification output. The ELKAYAM modular design system allows optimum integration of requirements for any capacity or demand, and really excels by offering wide ranging formats encompassing flexibility of choice for the type of product, the numbers of delivery cells, varying orientations and loading methods, and different levels of automation and computerization, all produced with peak level engineering and attention to quality. ELKAYAM plants are environmentally friendly, and are combined with many systems that meet the most stringent standards with regard to dust, the recycling of fresh concrete and water back to the production plant and environmental conservation. 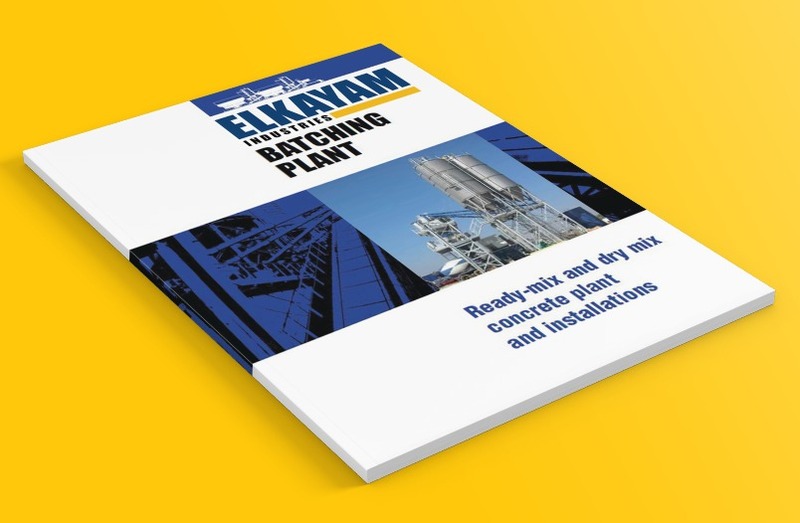 Today ELKAYAM produces plant and equipment, for the production among others, of concrete, plaster, bricks and slabs, with full conveying systems to suit, under a credo of high specifications and standards which ELKAYAM has set itself to meet. ELKAYAM’s goal for all projects is to produce a facility that meets the Clients’ objectives for throughput capacity and quality of product with the minimum of downtime and material losses. The detailed engineering and design phase is a key step in any project. ELKAYAM develops designs to ensure that the final installation reflects the Client requirements at every level, encompassing the layout, resources and logistics as well as the daily running and maintenance of the plant, maximizing up time and with planning for downtimes so that each project can reach its optimum economic targets. As a company, our foundation is built upon a knowledge base and our Chartered and Mechanical engineers deliver great results for our clients resulting in well-developed long term relationships with our clients. We are proud of the fact that so many of our clients are with us as their only engineering company for the manufacturing and installation of their projects, such is the level of mutual understanding that we have. We recognize the significance of an ongoing investment in people, technology, and equipment and this is a continuous policy with us so that we always have the latest industry standards at out fingertips.